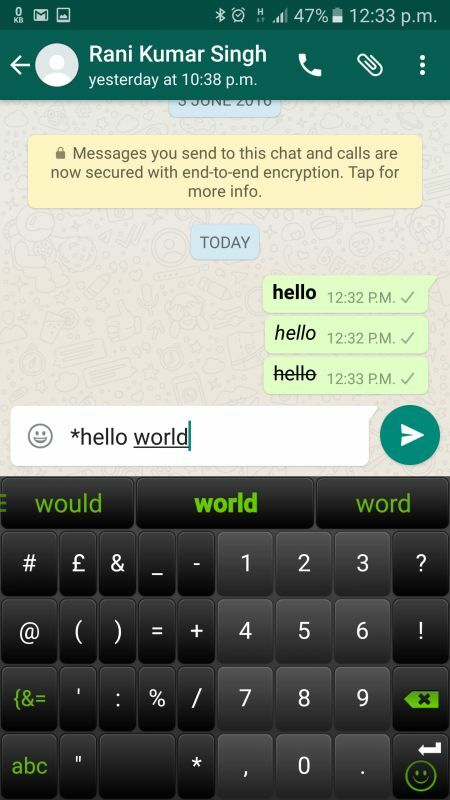 WhatsApp has been slowly introducing some great features so that users can learn each feature properly. Undoubtedly the top messaging platform, WhatsApp today has more than a billion users who are actively sending messages and communicating over voice around the globe. The company was acquired by Facebook, and the messaging app is completely free to use. 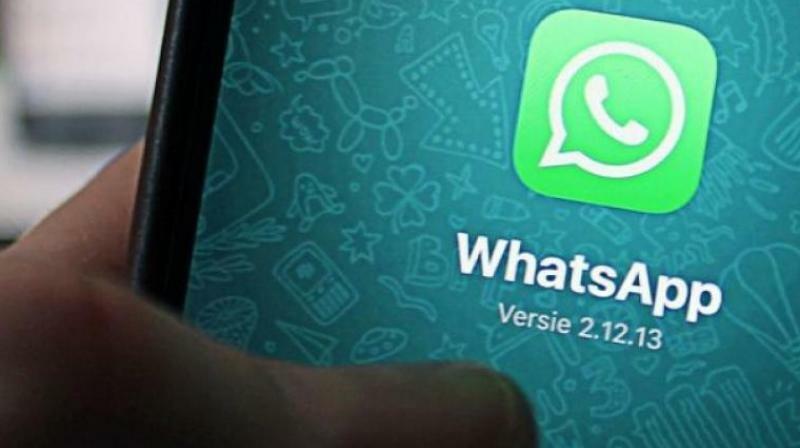 WhatsApp developers had initially released the phone number-based messaging app for simple communication; however, it took to the internet like a storm. The popularity of the free messaging app has got the developers to keep upgrading more and more features on WhatsApp. However, though the features are slowly coming into existence (compared to other popular apps who already have many of them included), on WhatsApp. Though users could say that other apps were already ahead of WhatsApp, a slow implementation works well in WhatsApp’s favour. First—users get time to learn and use every feature as and when they are released. If you have all features already there, you may not remember half of them at use. And lastly, each feature is rolled out after thoroughly testing for efficiency, data saving and performance. 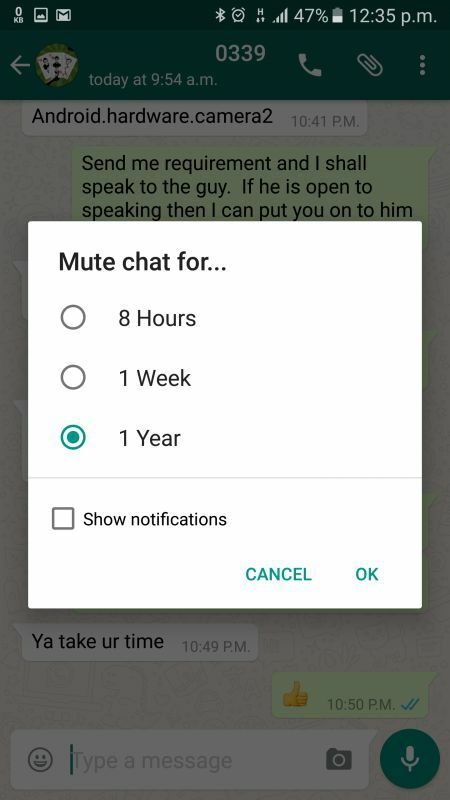 Until date, WhatsApp has released a lot of features that you can use for messaging. 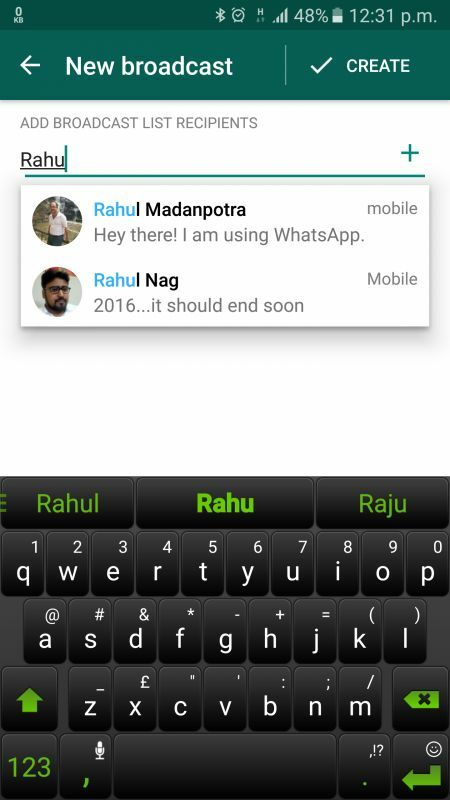 Apart from messaging features, there are several tweaks and tricks that you can do with WhatsApp. 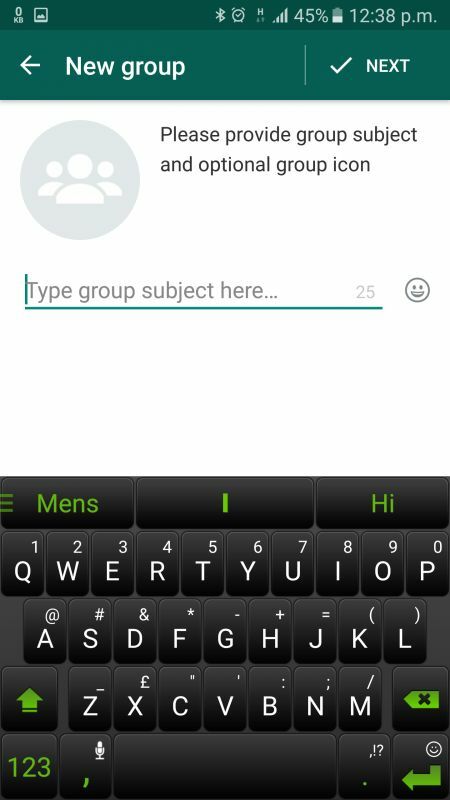 We have put together almost all the 40 features, tips and tricks that users could use with WhatsApp to become a WhatsApp jockey. Broadcasting a single message to multiple people at once is possible. Simply click on the menu (three dot ellipse) and select ‘New broadcast’. You will get an option to send the same message to multiple people by adding the contacts in the recipient list. Click on the ‘+’ sign on the right and select the names from your contact list. You can now send messages in bold, italics or strikethrough too. Simply use the special characters before and after the words to get the formatting of your choice. For example, use asterisk for bold (*hello*), underscore for italics (_hello_) and tilde for strikethrough (~hello~). 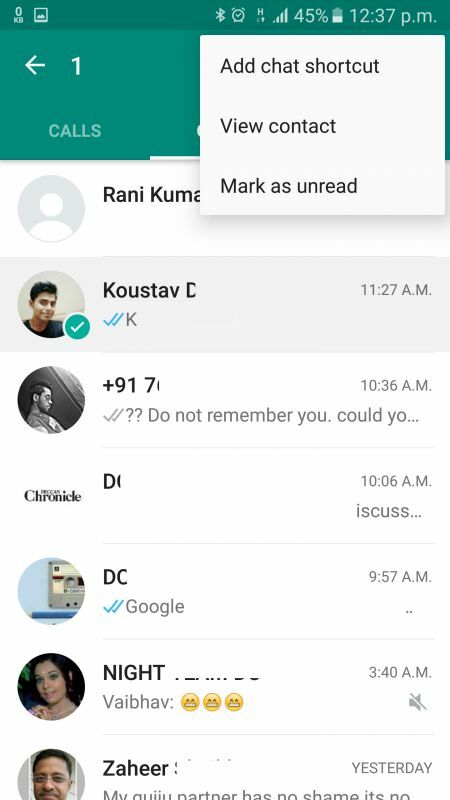 If you want to know who you are chatting too much with on WhatsApp, you can find out by simply scrolling through the chat screen. However, if you have cleared out the messages or if they are too many, it will be difficult to find out easily. For this, head to the settings and click on ‘Settings’, then ‘Account’ and then ‘Storage Usage’. Here you will find a list of contacts you are presently chatting with and if you tap anyone, you can find out how much of data you have sent or received during all chats. Now you can probably find out who is your good pal. This feature is available only on iPhone for now. If you are roaming, or if you are on a slow or expensive data network, you can choose to reduce your data consumption by selecting what you want to automatically download. 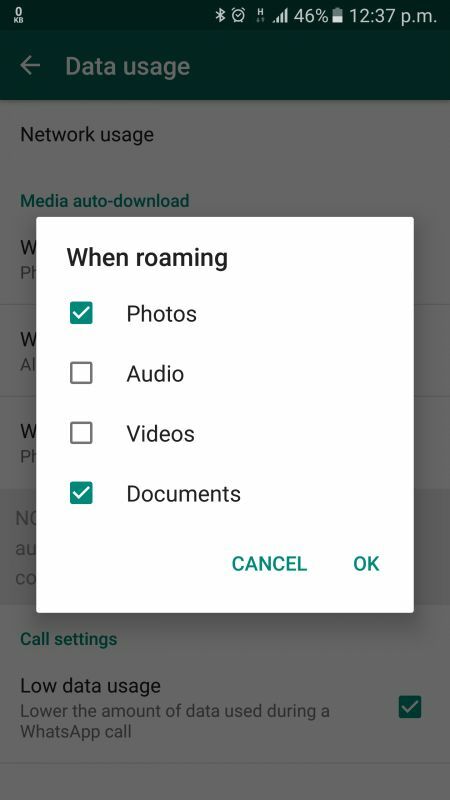 You can choose to selectively download video, photo or audio when you are roaming. Additionally, you can also click on ‘Low data usage’ to reduce the amount of data used during a WhatsApp call. If you are on a group that sends too many messages across or if your friend sends you too many unwanted messages, you can simply mute the group or contact to stop alerting you. You can choose to mute the audio alert or the notification respectively. The messages will come in but will only show you when you start WhatsApp. Select the contact or group and choose the ‘mute’ option from the menu. 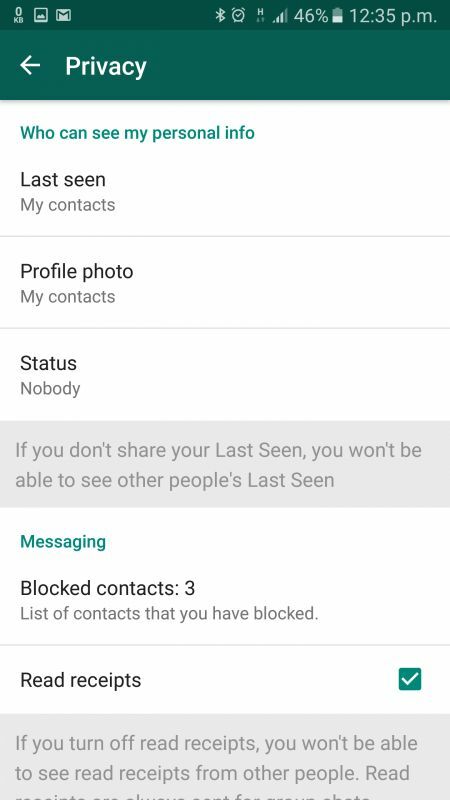 If you don’t like to show anyone on your contact list that you are using WhatsApp, you can shut off the ‘last seen’ option from showing up on their screen. 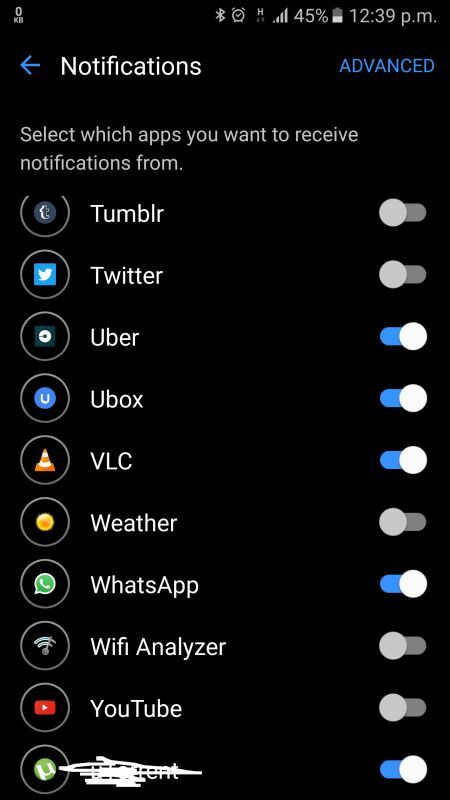 You can also select to disable blue ticks (a form of read receipts) and turn off your profile photo. Head to ‘Settings’ and you should find it in the ‘Privacy’ option. However, you should know that if you disable these options, you cannot see other the same from contacts too. 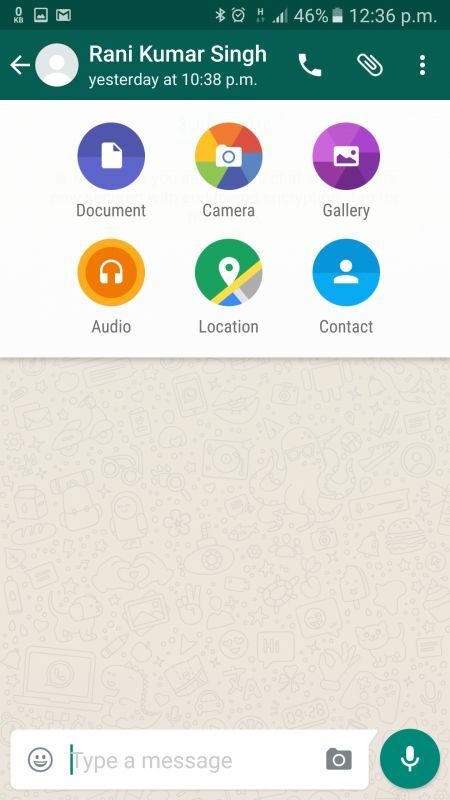 WhatsApp has started allowing you to send and receive documents too. While photos and videos are allowed for sure, PDF, Excel and Word files can also be sent. Simply attach the document to your chat and share your documents. WhatsApp is rumoured to also allow GIF files in a short while. When you read a message, you also send back a read receipt to the sender. This way he or she knows that you have seen the message. However, if you don’t want to send a read receipt (blue tick) back to the sender, you can read the message without them knowing it with two simple tricks. If you want to read a message, simply cut off all data networks to the phone. Use airplane mode and turn off Wi-Fi. 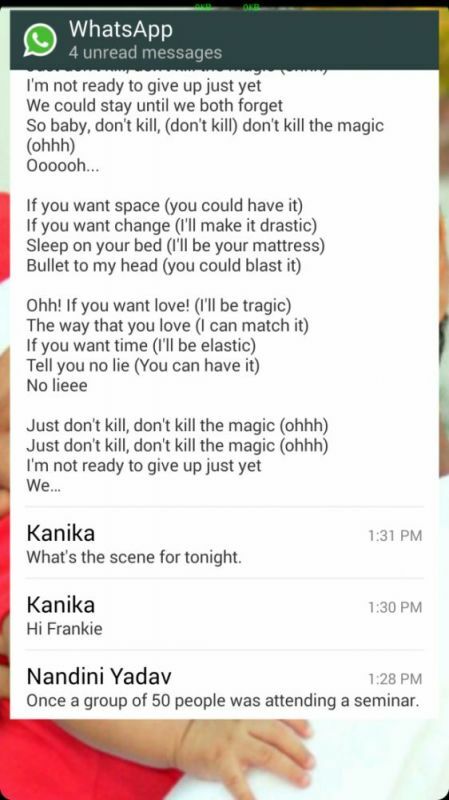 Open WhatsApp, read your message. Once done, close WhatsApp by killing it from the memory too (use an app killer if needed) and then start your data again. This seems tedious, right. The other simplest trick is to add a WhatsApp Widget on your desktop. If a message arrives, you can read the entire message without the sender knowing it. Simply scroll the message on the Widget. However, beware, if you click on the widget, you will trigger WhatsApp and a blue tick will be sent across. Click here to know more about how you can do it. 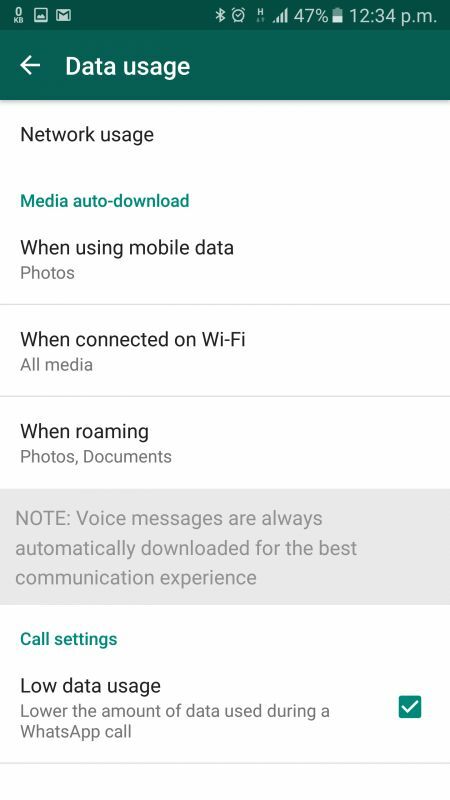 Similar to turning off audio and video downloads when roaming, you can also choose to selectively download photos and videos when on data or Wi-Fi respectively. Head to the settings and you will find the needed settings under ‘Data usage’. This is presently only available on iPhone. If your contact sends you a date within the chat, you will be able to see it in blue and underlines. Simply long pressing on the date can allow you to add the dates to your calendar and create an event. If you are constantly chatting with a few friends, or some important contacts, you can reduce the time to start WhatsApp and hunt for the name and start a conversation. Simply long press on the contact and select ‘Add chat shortcut’ from the menu. You can add the chat contact directly to your desktop and start chatting from there itself. 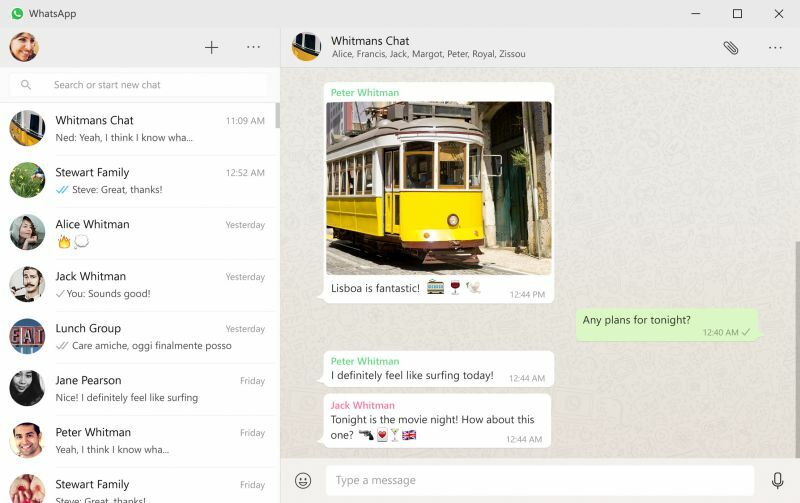 If you want to use WhatsApp on your PC and have the convenience of a large physical keyboard and a big screen, simply connect your phone to the PC using WhatsApp Web. Head to ‘web.whatsapp.com’ and scan the QR code on the screen with your mobile (from settings and WhatsApp web). Your entire WhatsApp chat will be seen on your browser. Alternatively, you can also download the standalone software of WhatsApp for PC from ‘http://www.whatsapp.com’. You need to have your mobile phone connected to the internet too in order to use this feature. (click here) You can also use this method to install a separate WhatsApp account on your desktop PC. 13. Send messages to yourself. Sometimes you need to test a message before sending them out. 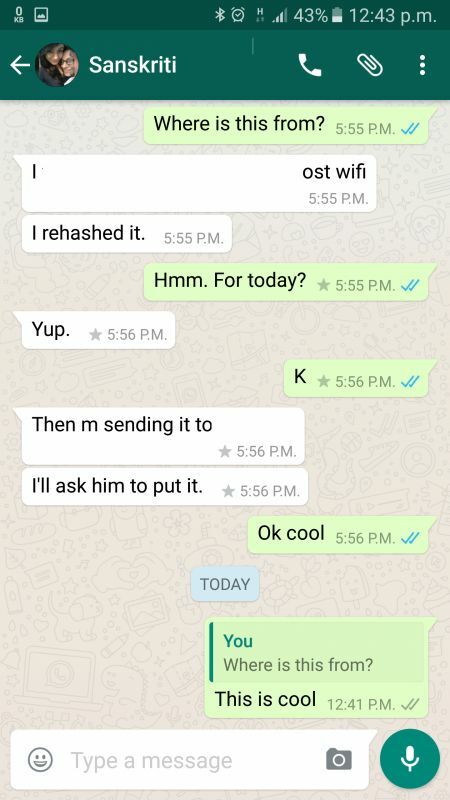 You can send them to yourself on WhatsApp before sending it to your contact. 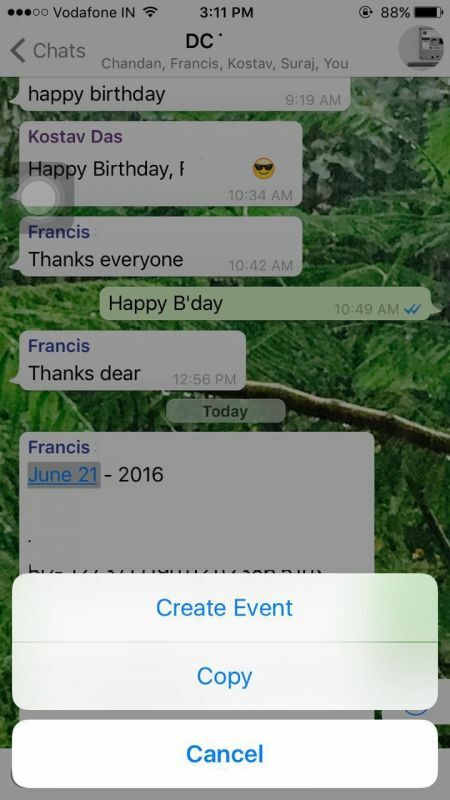 To do this, simply create a WhatsApp group, add a friend and then delete him from the group. Now you are alone in that group, and you can send messages there. It is also a great option for taking quick notes. Though this is not completely functional, you can still transfer documents and media from your phone to your PC and vice versa. 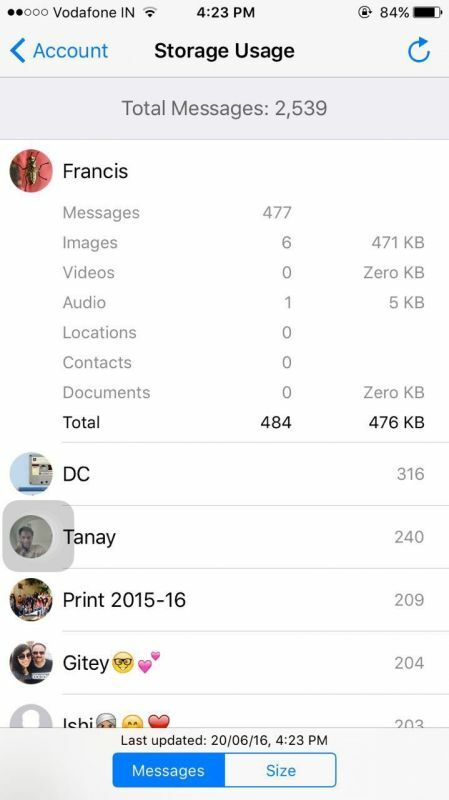 Simply send the media file or document to yourself (check previous trick), and you can save the same on your PC or desktop using WhatsApp Web. When you receive a message, you can see that message scroll in your notification bar, even if you don’t have WhatsApp opened. However, though this feature, you could have sensitive messages being read by unwanted elements peeping into your phone. To avoid this, simply head to the phone’s settings and disable notifications for WhatsApp. Once done, WhatsApp will not show anything on your notification bar. If you did not know it already, yes, WhatsApp can help you make phone calls around the world—with other WhatsApp users, that is. 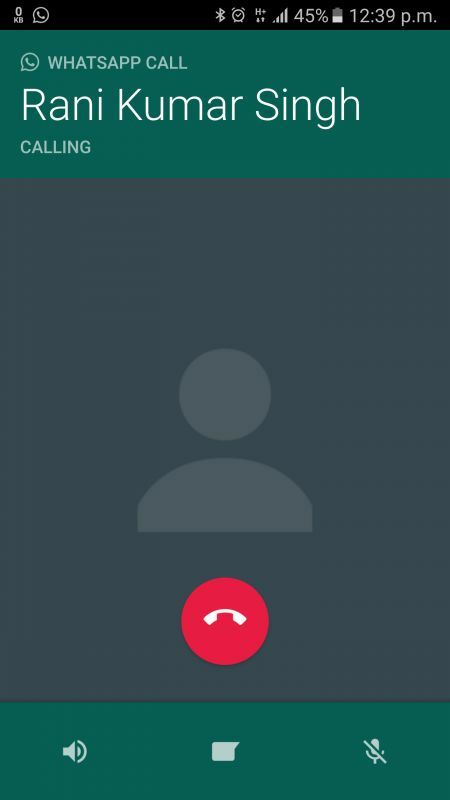 Simply pull up the contact and hit the phone icon to make a voice call. The call is absolutely free of cost, but you will spend on internet data—mobile or Wi-Fi. You can make calls on low-speed networks too, but be ready for a delay in the voice. Sending emojis was always there, but did you know that there are more emojis than what you see? Simply long press on the emoji that you like, and you will see some more come up on the list. Choose the ones from the list for your requirement. 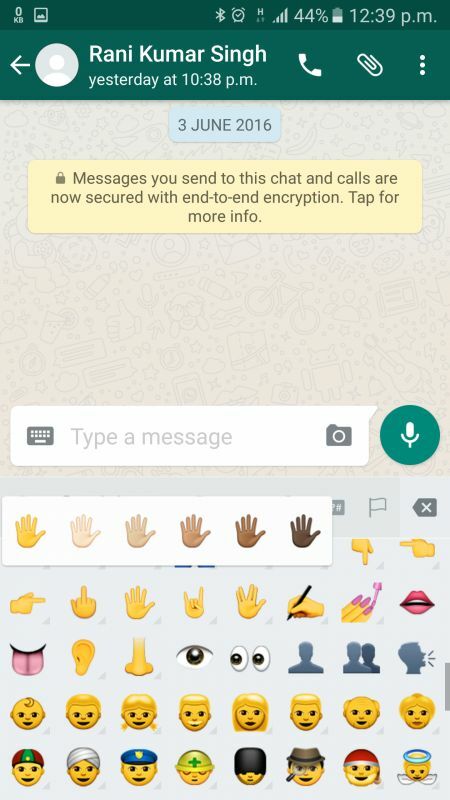 WhatsApp introduces new emojis on Android. This is a simple feature, a possible Easter egg if you want to call it. 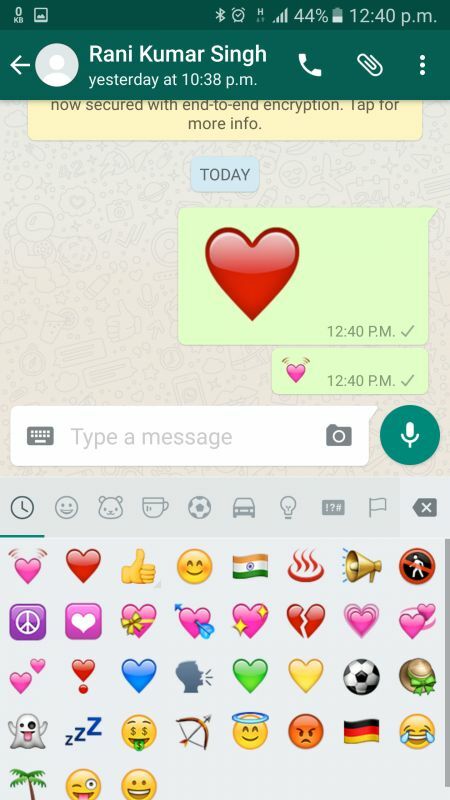 If you send a message with just a single heart emoji in it, WhastApp converts the heart emoji into a giant one and animates it with a heartbeat. Don’t believe us, try it right now. 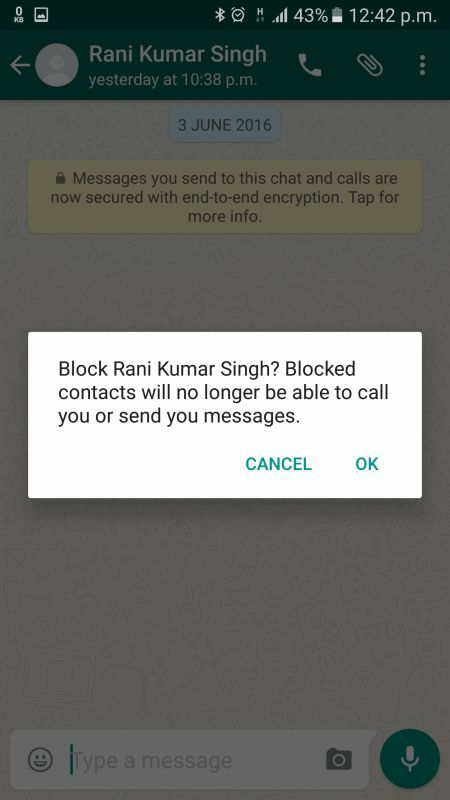 This is one of the most-recent features that WhatsApp introduced. You can now quote a particular message and reply accordingly. If you are in a huge WhatsApp group or in a long conversation with someone, you can refer to a particular message that you are replying with quotes. 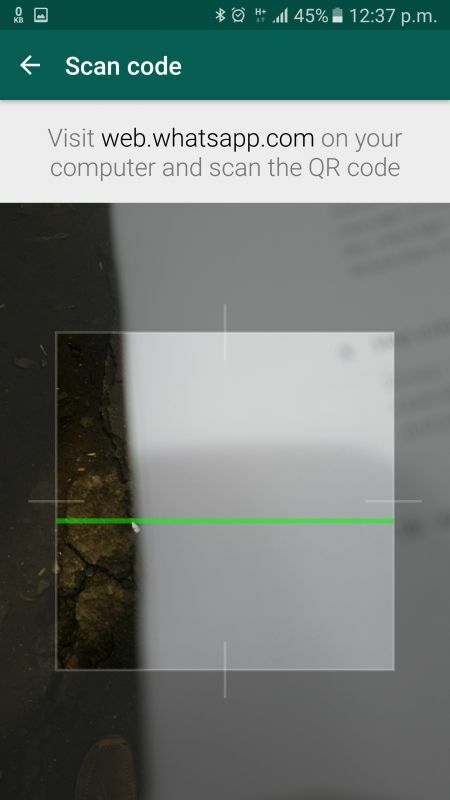 Simply long press on the particular message in the list and you will see the reply option popup (Android users will see an arrow icon on the top-left). Click on reply and your quoted message will appear as a box along with your reply. There are times when you get messages from unknown contacts. These could be unknown people, or simply spam messages with advertisements and promotions. Simply cut them off from repeatedly coming to your phone by marking them as spam. Open the unknown message and you will find two options ‘add to contacts’ and ‘spam’. Choose accordingly.